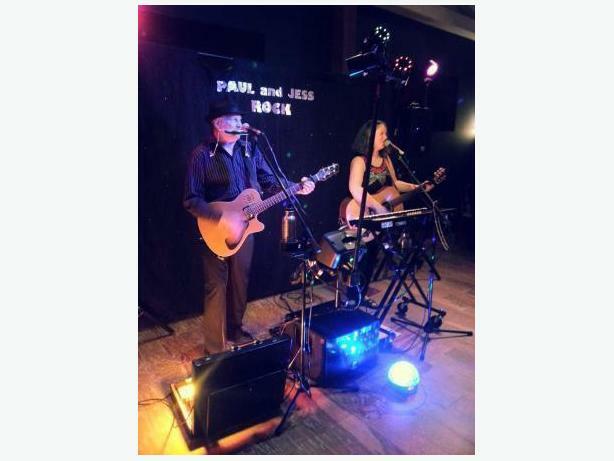 Paul and Jess - Classic Rock Duo with a full band sound. Our rates are comparable to a DJ and include a quality sound system and dance floor lighting. Keywords. live music, band, serving Nanaimo,Parksville, Courtenay, Comox, Campbell River, Port Alberni ,Duncan, Victoria, dance band, party music, wedding band, receptions, events, birthday parties,Christmas, DJ lights,PA system.